A section of a main road in the First District leading to Apple Bay. The road has been badly damaged by heavy rains. The Government is now considering the proposal by residents of Apple Bay to engage in a land swap deal for a new road to be built in their area, Works Minister Mark Vanterpool has revealed. The recent hurricanes and subsequent floods have caused severe damage to the road network that runs adjacent the shoreline. Some residents disclosed recently that should the Government be willing to grant them possession of lands along the shoreline, they would offer up portions of theirs to allow for the construction of new roads. “The Government has commenced dialogue with the property owners within the area. 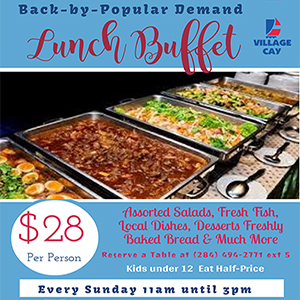 It is anticipated that a permanent solution, which involves the possible acquisition of some land adjacent to the current road, may be necessary, to allow for the road improvement over the long term,” Vanterpool told the House of Assembly recently. According to him, an assessment was completed by the Public Works Department and a design solution is in progress. He, however, pointed out, that he was unable to say how it would cost the Government to carry out the project. 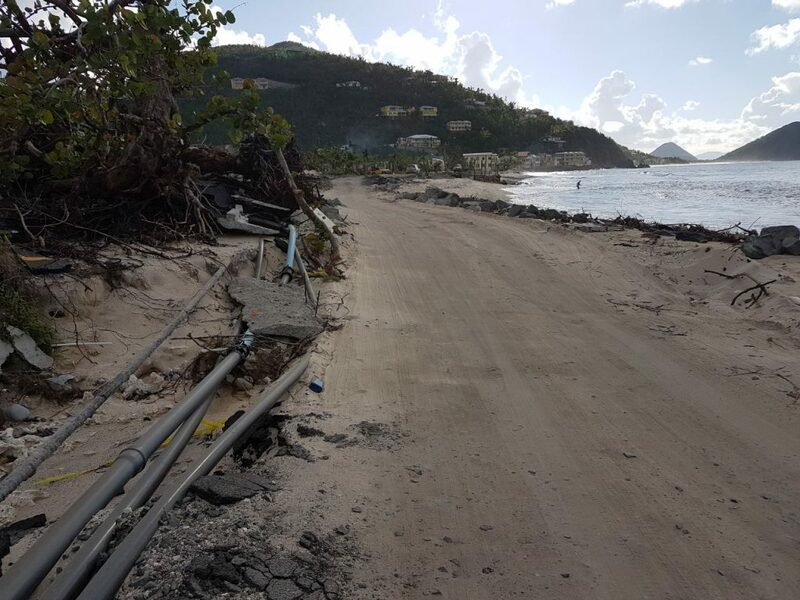 Section of the damaged road in the Apple Bay area of Tortola. In the meantime, the Works Minister told the House that a temporary fix to the current roadway was ongoing. 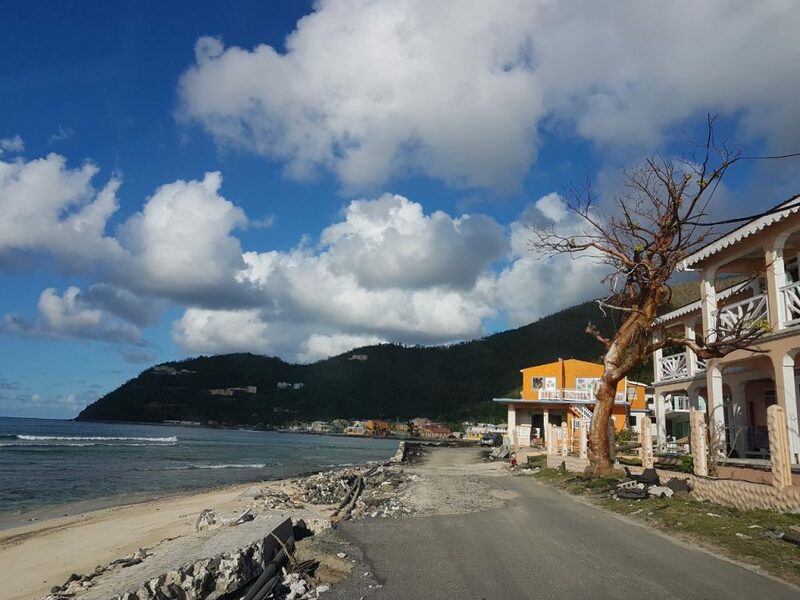 “Teams comprising the Public Works Department and contractors from the First District have been engaged to implement a temporary solution to the road from Sebastian’s at Little Apple Bay and onward to Carrot Bay,” he said.